This is the best-selling model because of its great versatility, whether in an institution or at home. The trolley on the device makes it easy to unhook the lift and hook it onto another track. Because it is lightweight and easy to use, this lift is the top economical option, particularly in institutions where multiple patients are accommodated at the same time. For a care centre, this savings means that half as many lifts need to be stocked. In fact, depending on how patient schedules are managed (baths, getting into and out of bed, etc. 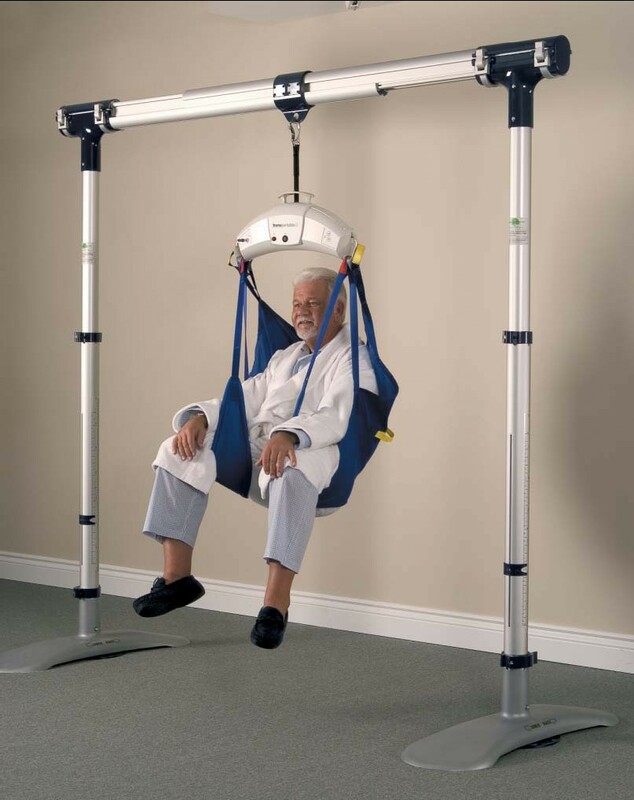 ), just one portable lift can be used for several patients. 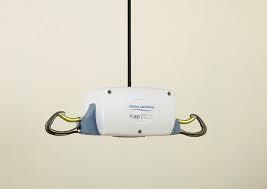 What is more, the portable lift can also be used for movements with a transportable lift system. This is a removable, transportable structure to which our portable lift can be attached. This is a “3-in-1” model: it can be fixed, it can be moved from one track to another, or it can be used with an optional transportable lift structure for movements outside. Depending on quantity, between 1 and 4 weeks. Under an hour if track installation is not required. Allow a few days for track installation, depending on the number, length and configuration of the tracks. Not available – Contact the Élévaction team.